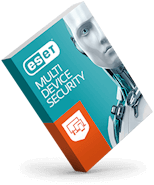 ESET Security solutions come fully manageable via ESET Remote Administrator, delivering a perfect “look & see” overview of the network security status. 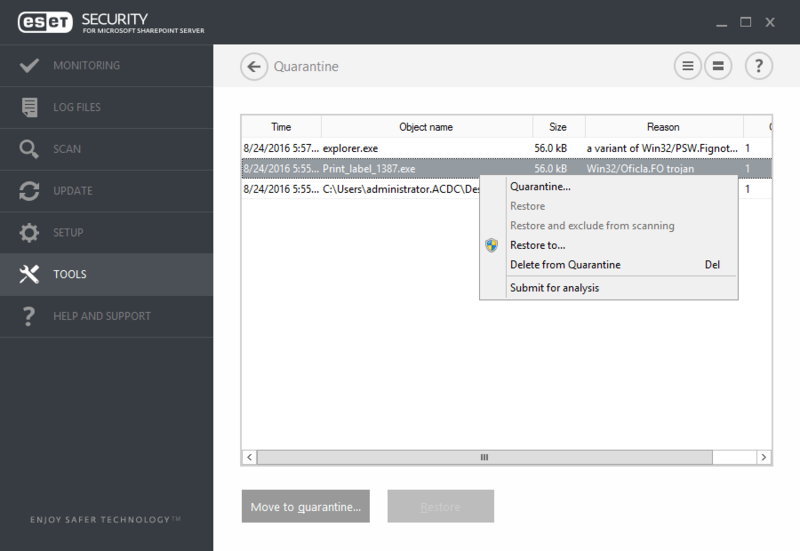 Monitors key functionalities of ESET Security via WMI framework. 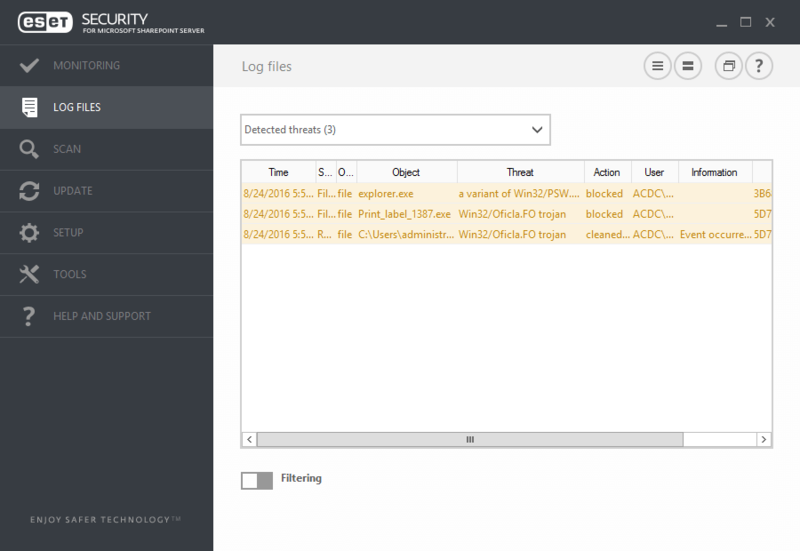 This allows integration of ESET Security solution into third-party management and SIEM software. Interconnect several installed nodes of ESET Security for Microsoft SharePoint Server within a cluster and manage them as one, eliminating the need to replicate changes in configuration manually. Updates and program modules can be stored outside of the default location – so updates and modules don’t have to be downloaded every time a virtual machine is reverted to an earlier snapshot. 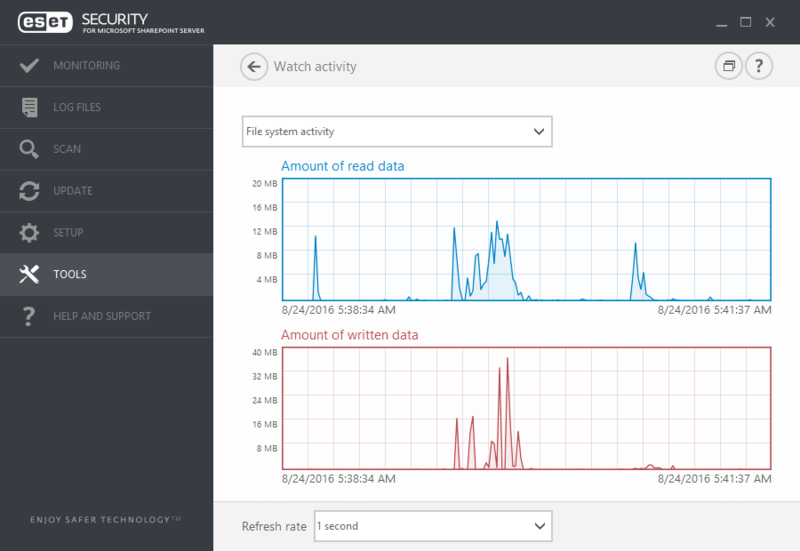 Database scan queries can be parallelized into multiple scanning threads to significantly improve on-demand scanning time. Customize and chain object scanning rules, e.g. real file type, file size, corrupted or password-protected archives and match the rules towards a specific action.